topics. Let's review these once again. business and data access logic. The maintenance and up-gradation of the application becomes a nightmare. Scaling of such kind of application is also difficult and lots of code is also get duplicated. his architecture introduces a controller. This controller can be implemented using JSP or servlet. It also encapsulates the incoming data into a form that is usable by the back-end MVC model. We'll discuss it with the help of an example. built using MVC Model 2 architecture. 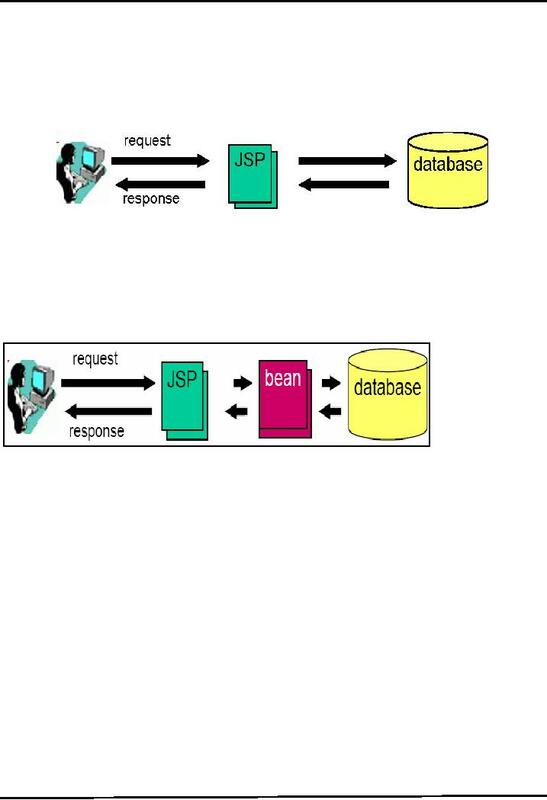 How controller differentiates between requests? Most likely, you must be thinking about it. The simplest solution lies in using the consistent name (e.g. to hyperlinks that send the action parameter along with value by using query string technique. This eases the controller's job to identify which page is actually generated the request and what to do next. if-else structure can be used to compare the possible values of action to act upon the requested task. Now, let's first see the code of JavaBean that is used in this example. 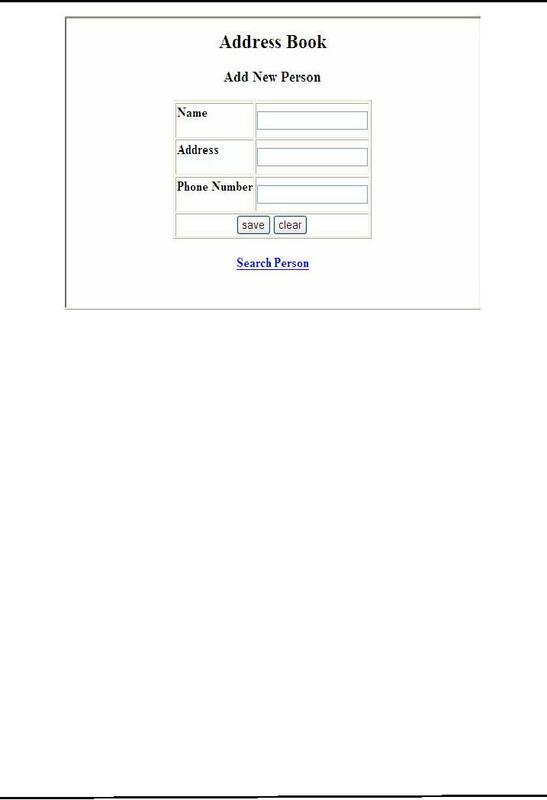 the ottom of the page that takes the user to searchperson.jsp. 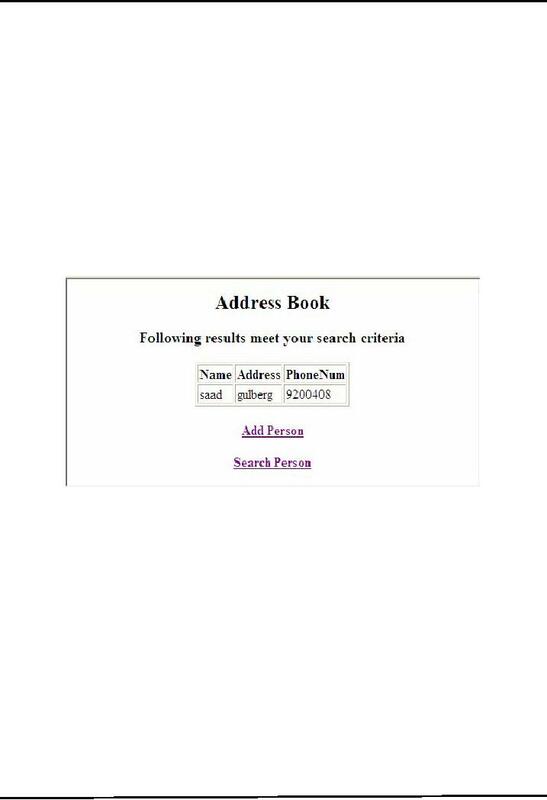 to controller first which redirects the user to requested page. action's contains the value of "controller.jsp"
<TR> <TD> <h4> Address </h4> </TD> <TD> <input type="text" name="address"
name of the button is "action" with value "save". at the bottom of addperson.jsp. 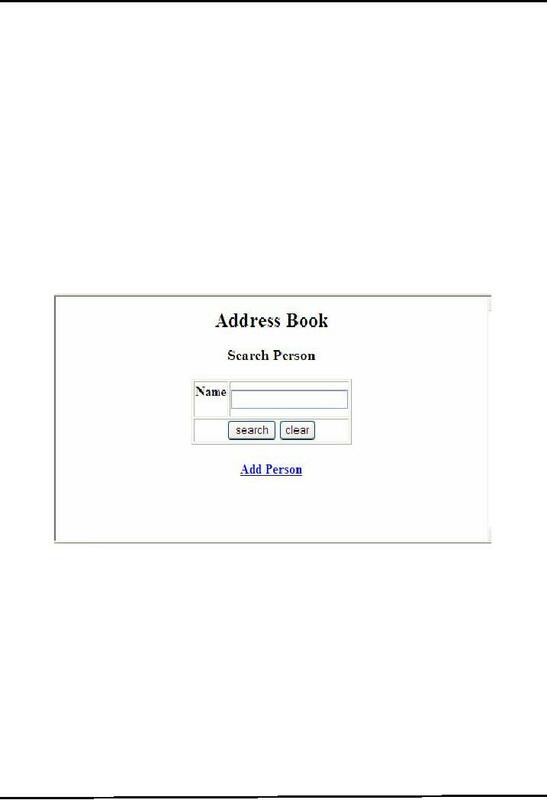 save/search persons to/from database. Also its job list includes redirecting the user to appropriate page. also first take the user to controller.jsp then on to requested page. This following figure gives you the view when name "saad" is searched. JSP is the Right Choice as a Controller? it. It includes the logic of selecting JSP and to retrieve/store records from/to dataset using JavaBeans. 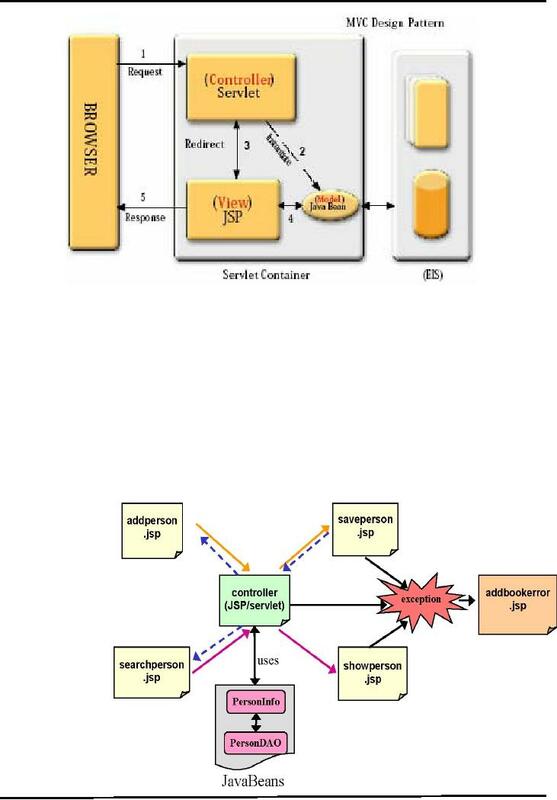 is, use Servlets as controller. code which shows the value of action attribute of form tag before and after introducing change. the request to error page.